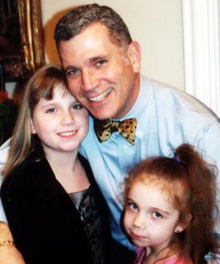 John Battaglia Jr. would brutally murder his two daughters, Faith and Liberty while his ex-wife listened on the other end. He wanted to control everything around him and when he felt like the control was slipping, he decided on the ultimate act of revenge using the most innocent victims. Their deaths would create changes in child custody arrangements. We are now on Patreon! Join us for exclusive offers. Very good episode. I heard about this case, however, I was very shocked to find out that John Battaglia’s mother committed suicide. Something I didn’t know!